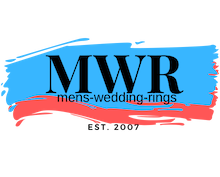 If you've been searching for the perfect cobalt wedding ring, one that is truly unique and contemporary, then this 8mm cobalt ring with a carbon fiber inlay may be your ideal ring. It features a black carbon fiber inlay that is surrounded by satin-finished cobalt and finished with step-down polished edges on each side. 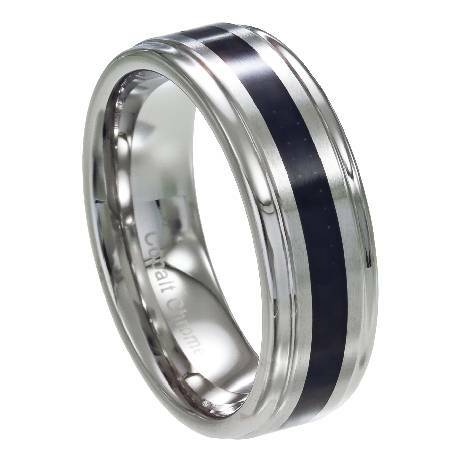 Perfect for the man who wants to make a statement with his wedding band! Comfort-fit rings should be ordered 1/2 size smaller! I do a lot of work with my hands that would destroy my wedding ring so i got this as a "work ring" and keep my actual wedding ring at home to wear during those times when it wont get ruined. I brought this ring to Kay to compare and saw a nearly identical ring that was 5 times the price. I am very happy with this ring. So far it has held up well and since it was relatively inexpensive I won't mind if I have to replace it every couple of years!